April 12, 2013  The good news: Inflation remains in check. The bad news: Consumers were less willing to spend last month. 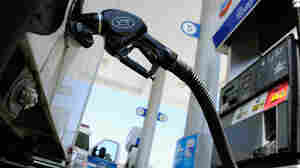 March 29, 2013  With higher prices for gasoline factored out, spending rose a more modest 0.3 percent. Meanwhile, personal income rose a healthy 1.1 percent. March 13, 2013  The 1.1 percent increase is a sign that despite higher payroll taxes and increases in the price of such things as gasoline, consumers are still willing to spend. And that's good news for the economy. January 31, 2013  The year ended on a strong note, with personal incomes up 2.6 percent in December alone. But over all of 2012, growth in both incomes and spending was less than the increases in 2011. The week's big economic news comes Friday when we'll hear how many jobs were created in January. 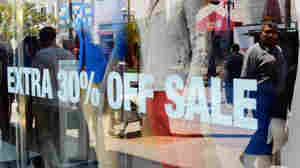 January 15, 2013  Consumers were still in a spending mood in December, even as lawmakers battled over the budget. Meanwhile, wholesale prices fell slightly. Those are both good signs for the economy. December 21, 2012  The increases add to signs that the economy continues to rebound from the 2007-09 recession and the slow recovery that followed. November 30, 2012  Many in the Northeast and Mid-Atlantic couldn't get to stores and were out of work for at least a short time because of the destruction Sandy wrought. 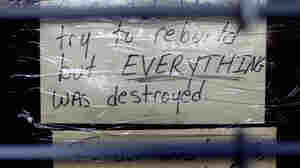 That dampened spending and cut into incomes. October 29, 2012  There was a 0.8 percent rise from August to September. Since consumer spending accounts for more than two-thirds of economic activity, it is crucial. September 28, 2012  Spending went up, but largely because gasoline cost more — not due to stronger demand. 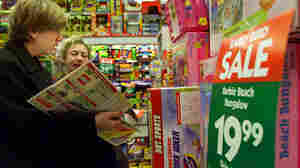 July 31, 2012  The news on spending is a sign that consumers remain cautious even as their incomes are on the rise. May 15, 2012  Dropping gas prices helped hold inflation down. Meanwhile, April consumer spending may have been slowed because warm weather in March encouraged folks to get out their wallets then. 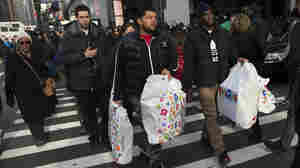 April 30, 2012  A large 0.9 percent gain in consumer spending from January to February was followed by a more modest 0.3 percent increase from February to March, the Bureau of Economic Analysis says. March 30, 2012  The news could be a sign that consumers are feeling better about how the economy is doing, and are willing to spend more even if their incomes are rising only slowly. March 1, 2012  There were 2,000 fewer first-time claims for unemployment last week than in the week before. Meanwhile, consumer spending rose 0.2 percent in January from December. October 28, 2011  Analysts wonder whether the spending surge can be sustained if savings are being depleted.